Horror Hosts Building the Better Monster: Karlos Borloff! The upcoming Horrorhound Weekend in Indianapolis is really a quadruple threat. 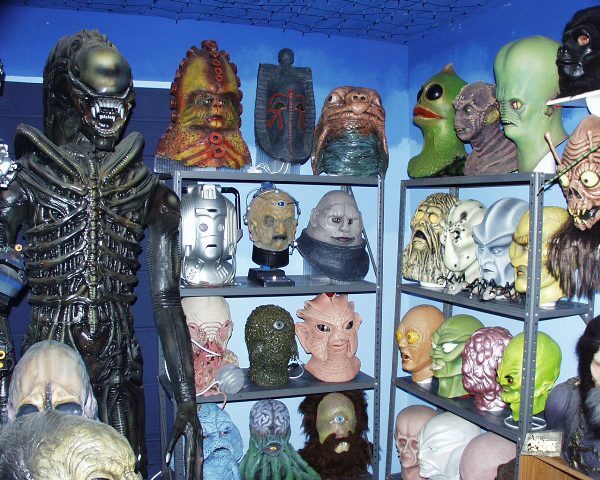 You have celebrity guests, an immense dealer room, the horror hosts, and Maskfest! This is not to suggest, however, that any of these need be exclusive. While Maskfest could easily be a convention in its own right, horror hosts can be quite crafty themselves. 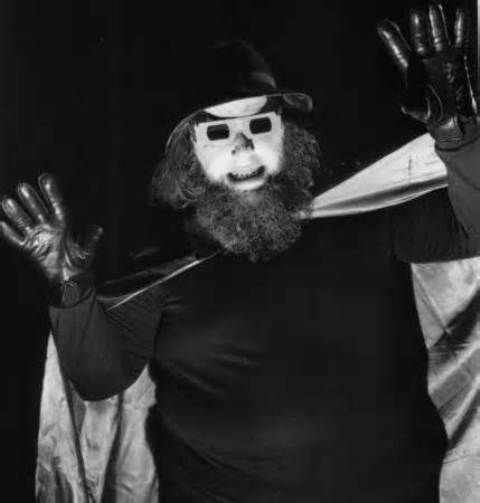 Last Friday, the Horror Hosting world was rocked with the news that their beloved friend, and fellow host, Barry Hobart a.k.a. Dr. Creep had passed away. As neither of The Daves had the privilege of meeting Dr. Creep nor had any familiarity with his show, we did not feel qualified to present our own tribute piece. Instead we felt it would be more appropriate to hear from his peers, as well as those whom had met and worked alongside him. Before his death we felt it unfortunate that we never me Mr. Hobart. After reading some of the amazing tributes below, it is even more regretful. 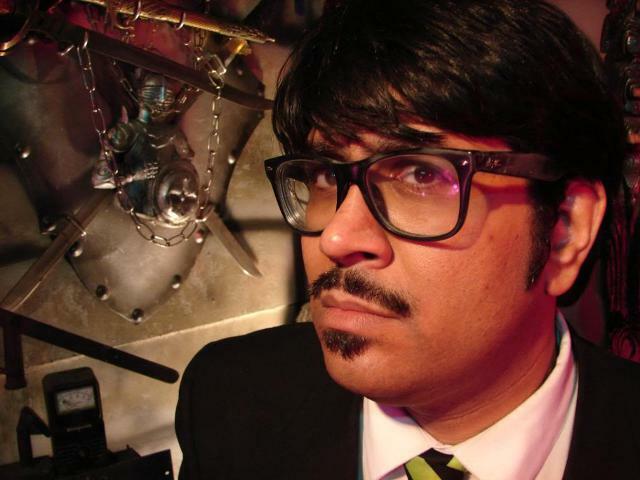 10 Questions for Cinema Insomnia’s Mr. Lobo! One of the funnest things about doing this site is dealing with the actual people we write about and getting their support. Horror hosts are stars to me and to be able to talk to them and e-mail with them is a dream come true! It was a great pleasure doing my piece MR. LOBO’S CINEMA INSOMNIA and the positive response from both Mr. Lobo himself and his assistant Dixie Dellamorto was such an inspiration. Here I present to you a 10 question Q&A I did with Mr. Lobo and I want to say to him that I cannot thank you enough for taking the time to answer these questions! I really appreciate it! Mr. Lobo’s Cinema Insomnia will keep you up nights Laughing! For a lot of people, when they think of horror hosts, they think of characters such as vampires, ghouls, werewolves or even mistresses of the dark. They don’t think of horror hosts as being someone basically dressed in a suit and being themselves, a fan of monster movies. This actually doesn’t happen very often…in the past we had Bob Wilkins and John Stanley. Today we have Mr. Lobo! 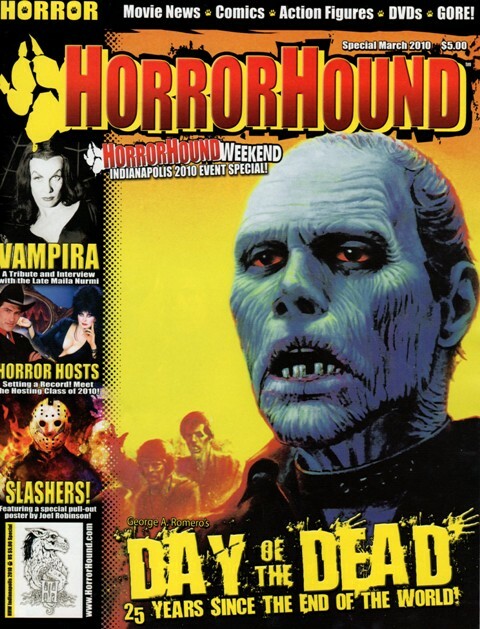 2010 Indianapolis Horrorhound Weekend: A Zombie Paradise! Last March, I attended my first (but definitely not last) Horrorhound Convention. As mentioned in my previous post, Horrorhound Magazine definitely ranks as one of my favorites. 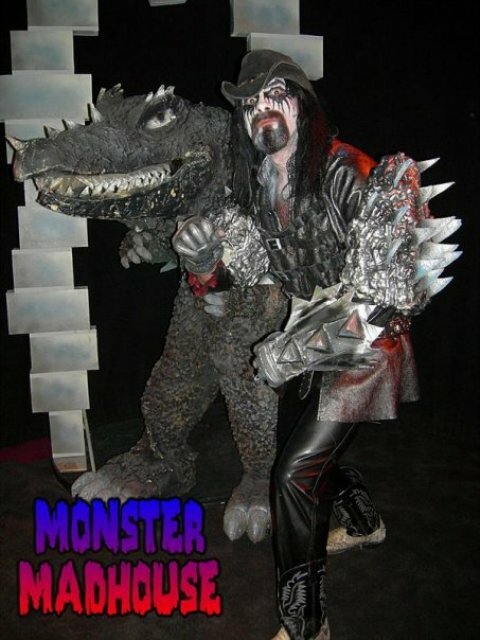 Like FANGORIA, they sponsor their own conventions too – attracting some very impressive guests! For the past few years, Horrorhound has done two conventions annually; one in Indianapolis (March) and another in Cincinnati (November).